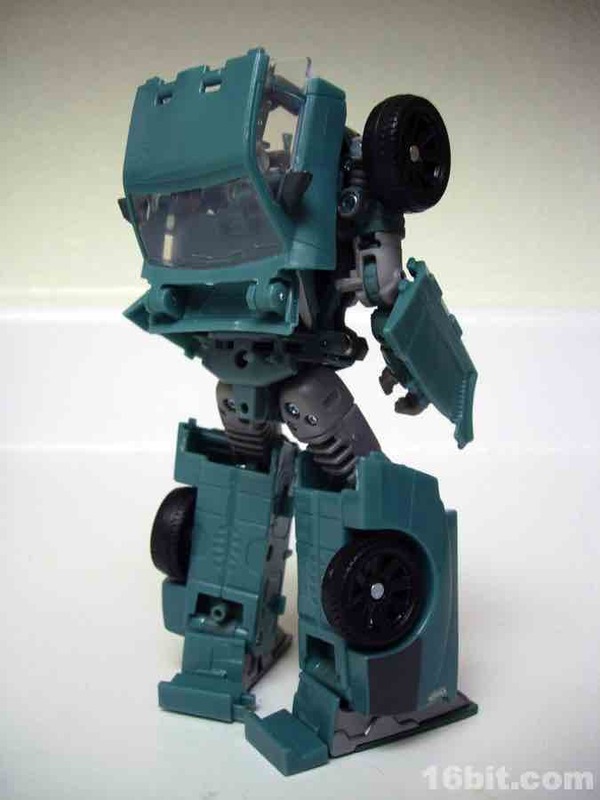 For years, a classic version of Sgt. 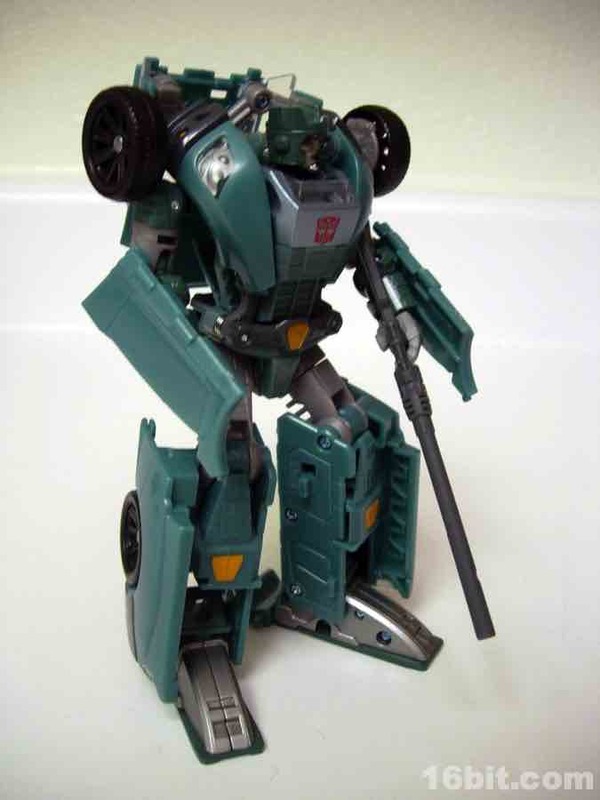 Kup (previously just "Kup" on the packaging) has been near the top of fans' request lists. 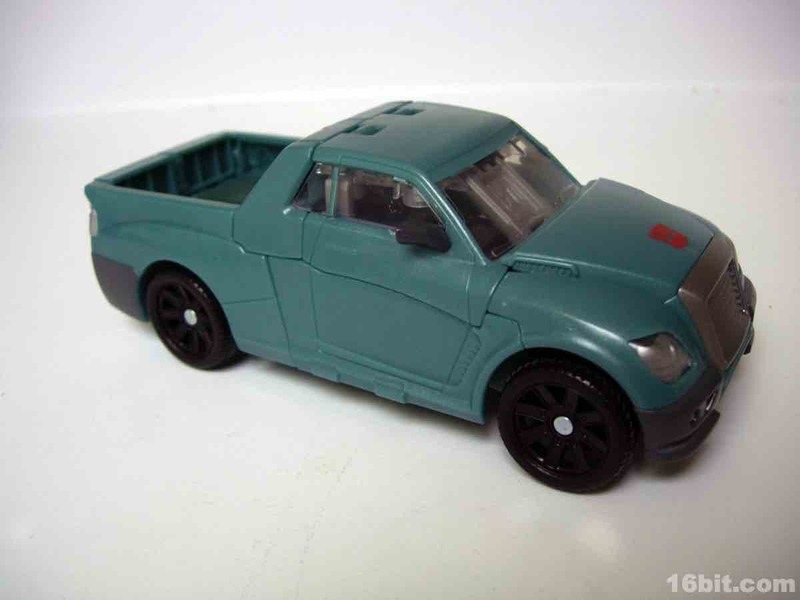 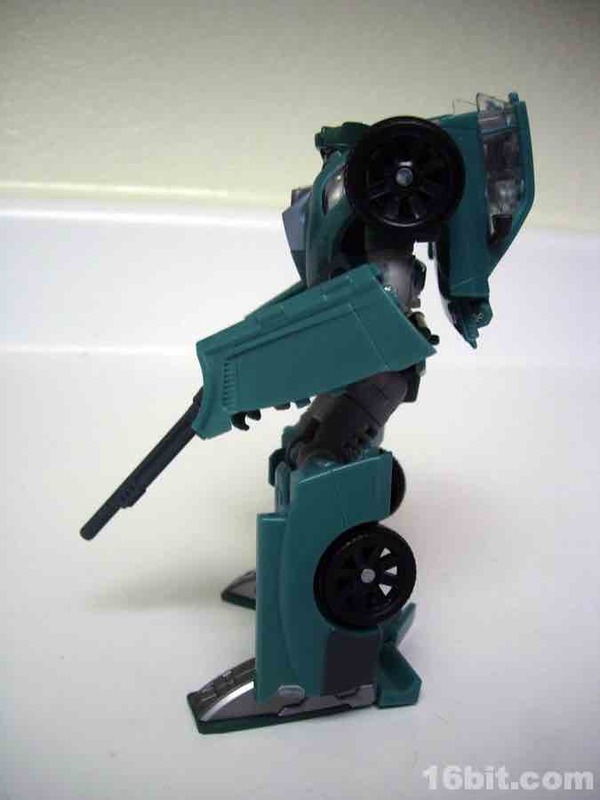 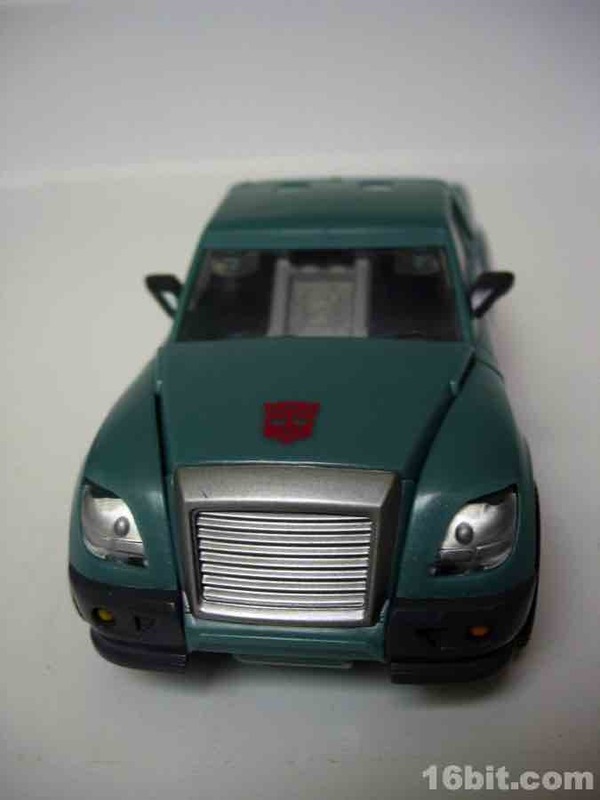 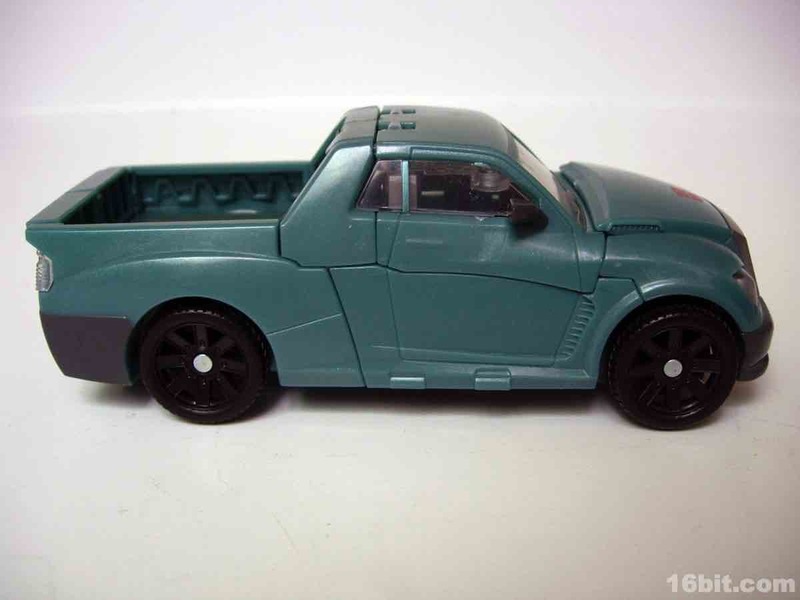 Hasbro has basically completely ignored the character since just after the original toy, which had a rerelease with a different accessory and then no new molds for Kup were ever made up until this one. 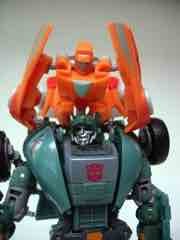 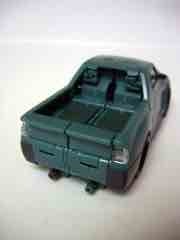 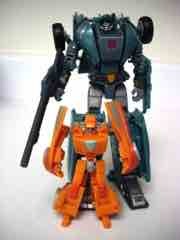 (An attempt to reference his color scheme may be found in the Transformers Cybertron toy GTS.) 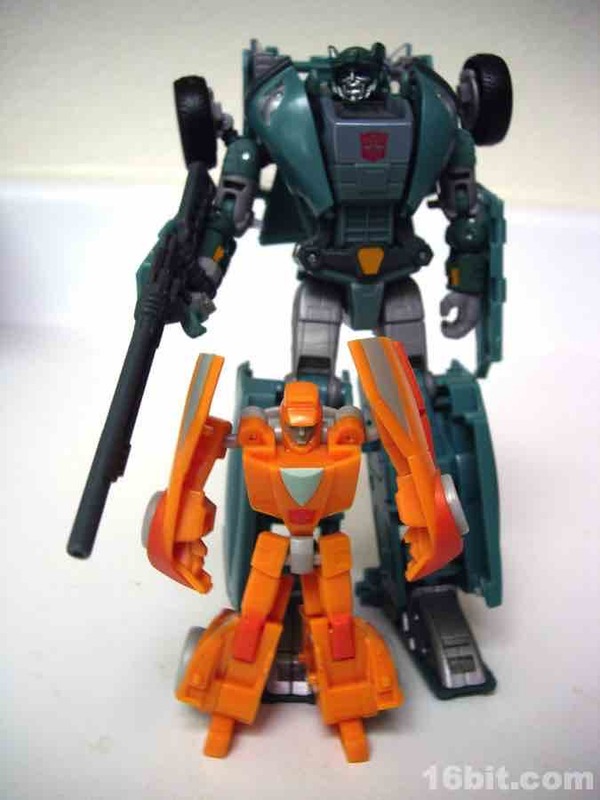 Transformers Animated Ratchet owes a little bit of his origin to the original Kup, but Kup proper doesn't get a lot of love out there. 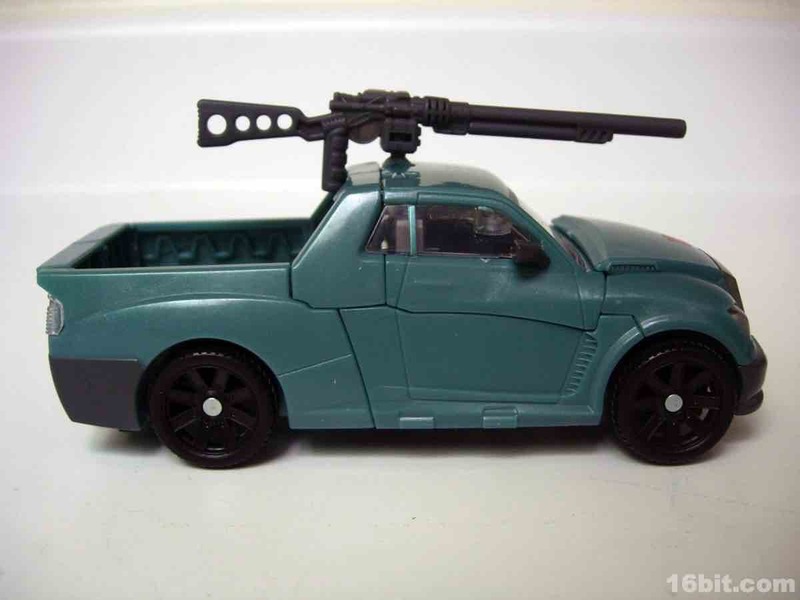 As a vehicle, well, there you go-- it's a truck. You may mount the laser musket on top of the roof of the car, or under the vehicle where it looks like an exhaust pipe. 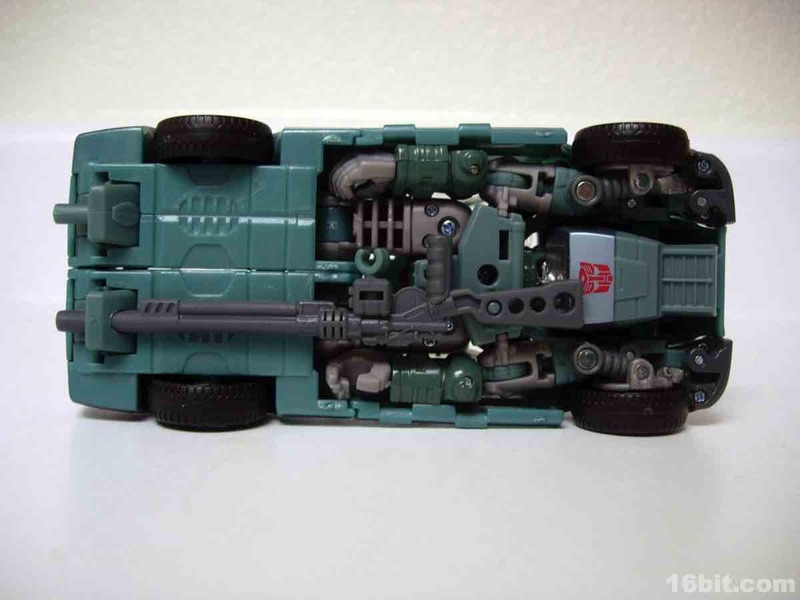 It's well-integrated and I like how it can be used in multiple places for more than one purpose, rather than being a big annoying thing you end up losing because it doesn't feel like a natural piece of the toy. 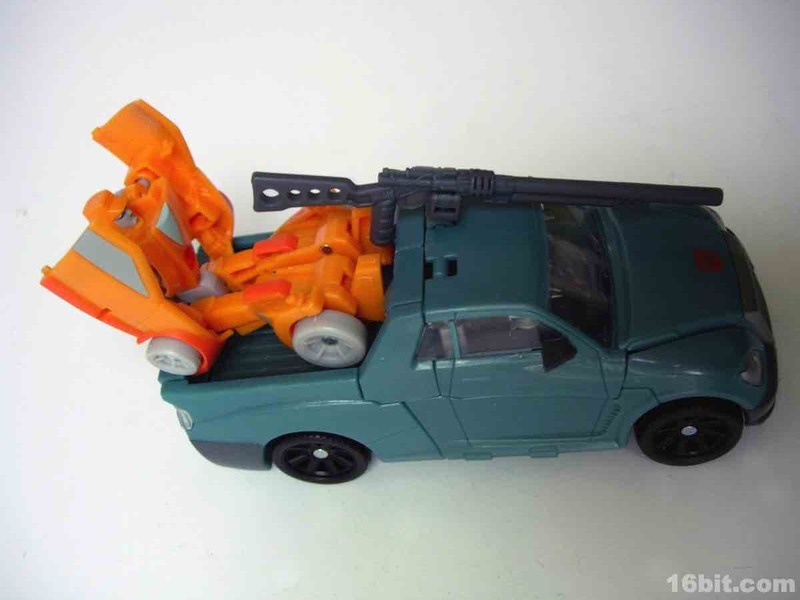 It holds together quite well in vehicle mode, so there's no worries of a leg popping off if you're rolling it around on the carpeting. 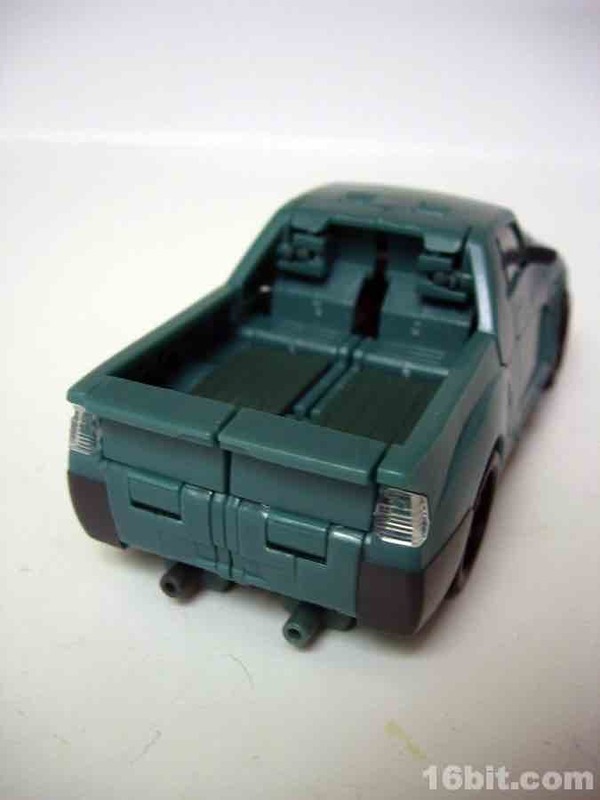 Kup is currently available, although he may be tough to find-- he shipped in January originally, plus alongside the seemingly scarce waves which followed and featured Wheeljack, Thundercracker, and Warpath. 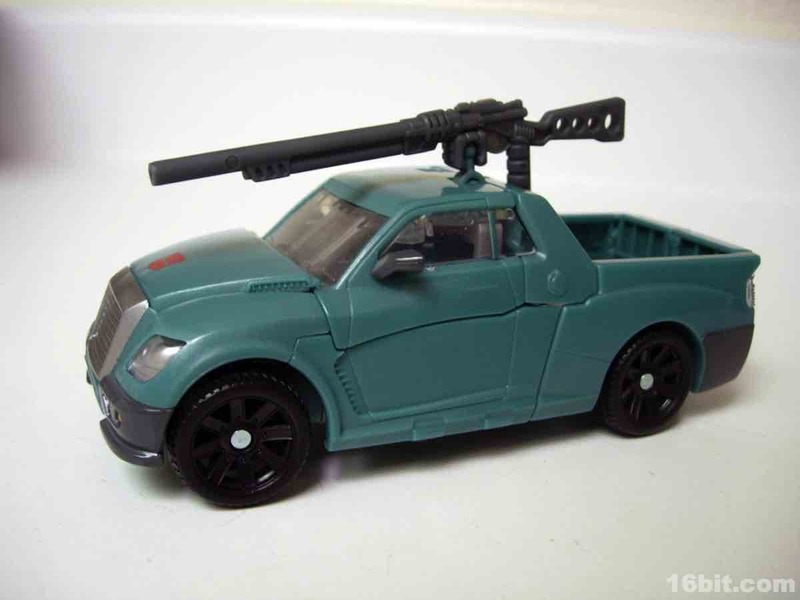 It's totally worth the ten or so bucks, and if you're reading this in the future and the current secondary market price is $20-$25, I'd say it's a good enough character with a strong enough toy to warrant a higher price. 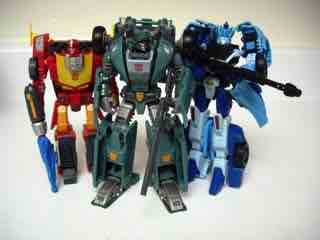 But get it cheap if you can since we're toy collectors, not chumps. 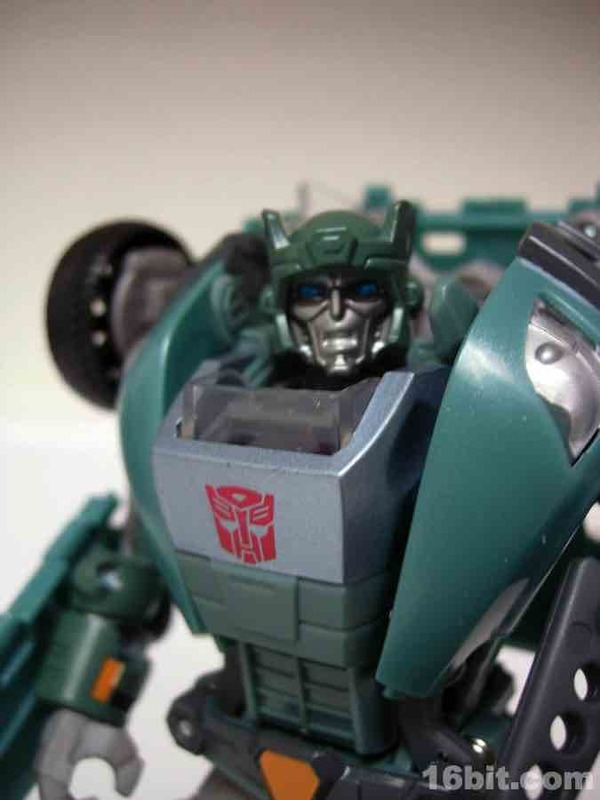 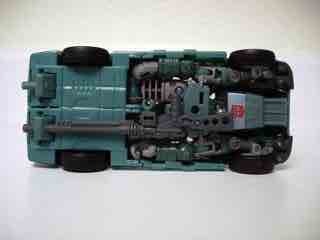 Variations and Add-ons: So there's more than one version of Kup. 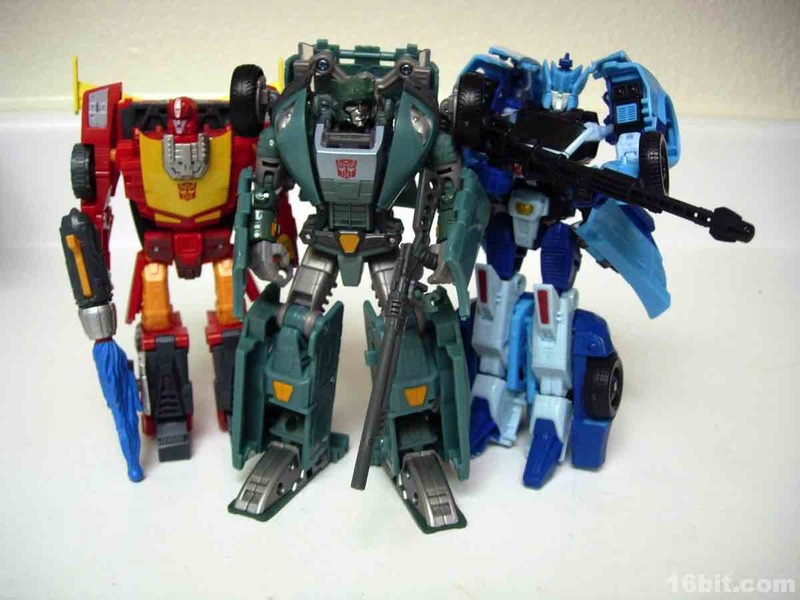 In Japan, there are two different repaints-- one is a metallic colored toy as part of Transformers United, while the other is a more heavy redeco with battle damage, blue plastic, and other changes in an E-Hobby Exclusive 3-pack of Rodimus, Kup (Char), and Scrap Heap. 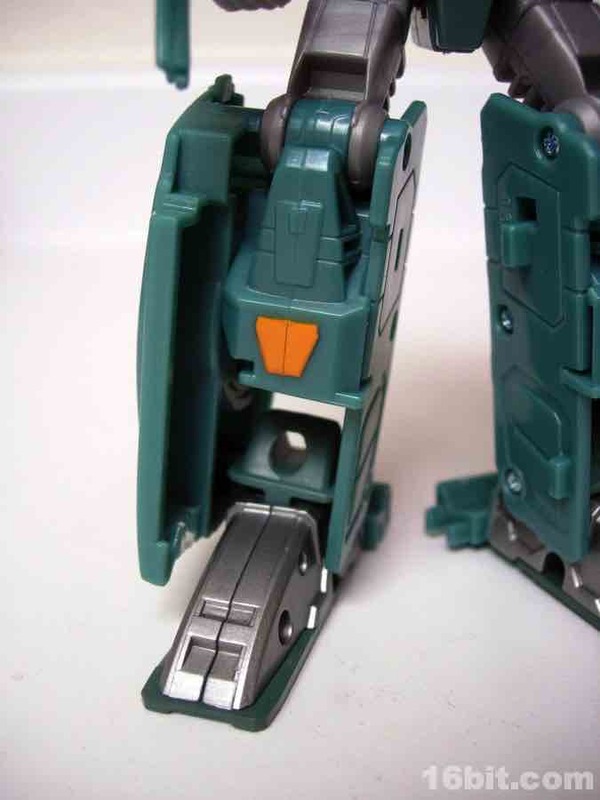 If you aren't happy with the head, manufacturer iGear has two different ones available in the color of your Kup of choice. 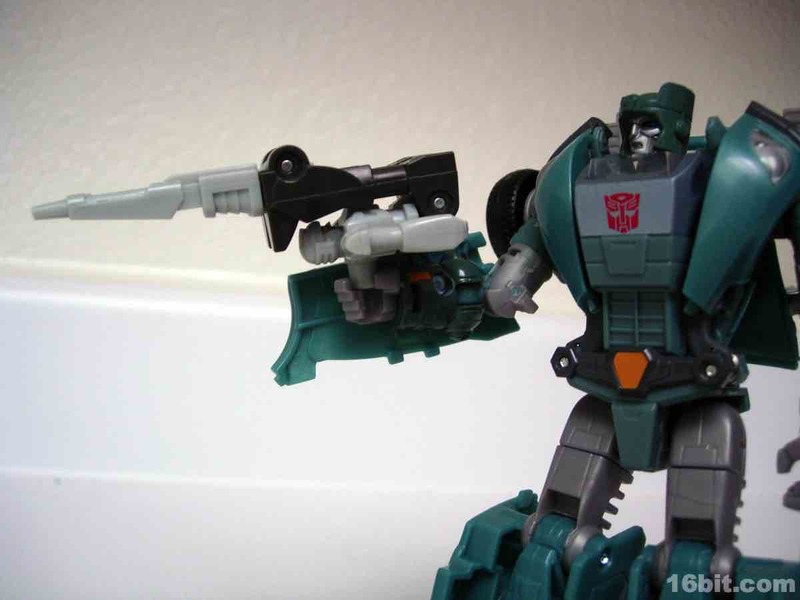 They're based off the IDW comics redesign of the character which sports a cigar-- I'm sorry, Cy-Gar-- as well as a second head minus the clearly non-tobacco product.